If you have spent your childhood doodling cartoon characters and super heroes all over your notebooks, if you tried to become any superhero or perform their deeds in your dreams or if you are fascinated by their stories flying all around and saving the human from destruction, then this is the right place, Animation Kolkata has brought for you all readers. Animation is a growing industry in the Indian Market. India is rich in art and animation is one of the most modern art form in the world. Animation is still considered as a hobby but there is a huge scope of making a fantastic career out of it. Here we enlist top animators of India who have shaped the animation industry of our country. 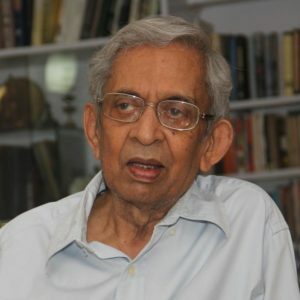 Ram Mohan: He is considered as the ‘Grandfather of Indian Animation’. He is a veteran in the Indian Animation Industry. He is the chairman and chief creative officer of a Mumbai-based Animation Company, established in 1995 known as Graphiti Multimedia. He contributed in the film like ‘Ek Anek Aur Ekta’ which was the first 2D animated film to be aired at Doordarshan. The awards he won include National Film Award, Mumbai International Film Award and Padmashri. 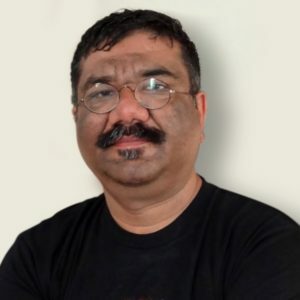 Dhimant Vyas: He is also a veteran Animation Film Designer and popularly known as ‘King of Clay’ as he is credited to bring clay animation art in to the Indian mainstream industry. He is an alumnus of National Institute of Design (NID). He is presently working with the leading Academy Award winning Animation Studio – Aardaman Animation Ltd., U.K. He worked for ‘Taare Zameen Par’ to animate the title sequence. He has also worked for several brands like BBC, UNICEF, MTV, Zee TV, Cartoon Network, Nickelodeon, etc. Gayatri Rao: She is also called the ‘Queen of Indian Animation’. She did her internship from Walt Disney Studios, Florida sponsored by UNICEF. 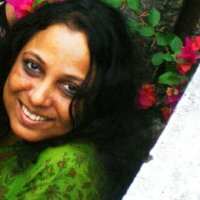 Having completed her BFA from the college of Arts, Delhi and Masters in Design from IDC, IIT-Powai, Bombay where she was a pioneered animation as a medium of creating her first short film ‘Calls Of Animals’ on alternative teaching methods. We shall discuss regarding two more great animators of India in my next blog, till then stay tuned with us.